Creating a curated collection is one of my favourite passtimes. Selecting items from a larger collection and curating a subset for an exhibition or theme can amuse me for hours. Digital curation is Thing15 of our 23 Things. I do think this is one way in which discerning people can add value to the internet. Making curated pathways through the never ending maze of linked content. Three online advent calendars which showcased the Oxford OER collections and OUCS services on a Christmas theme. It was not an arduous task ; the collections are rich and wonderful, and the premise of generous giving suits the spirit of the task. The calendars were wordpress sites scheduled to publish a new post each day in Dec. I also encouraged my podcasting teams in Oxford to develop a tool for the podcasts.ox website to enable us to showcase a handpicked collection drawn from accross the collection e.g. some of our best female academics on interational women’s day. At the moment the tool is being used as ‘featured people‘. More recently, at the Edinburgh Gothic editathon I learned how to curate a timeline using Histropedia. If the internet keeps producing tools like this for curating content I may be done for. I haven’t managed to persuade anyone at Edinburgh to join me in an ‘Advent of technology’ or ‘Internet of free things’. But I did get Charlie to curate this set of 23 things and the world is a better place for it. Update: As of 1 December there now is an Open Advent calendar at Edinburgh. Check it out! Many years ago in a galaxy far, far away Oxford University launched on ItunesU. Here’s the screenshot from BBC ceefax that night. Podcasts are Thing 14 of our 23Things and I am getting nostalgic again. Here’s a case study by Terese Bird of how we approached podcasting at Oxford. And here’s the Oxford podcasts site (outside of ItunesU). I’m on there, here’s my podcasts and ebooks. They include a recorded talk about my research on the student digital experience and 5 years of blog posts available as an ebook. In April this year I was delighted to welcome one of Oxford’s top podcasters, Dr Emma Smith to keynote at OER16. I first met Emma around the time we were launching Oxford on ItunesU. She is a Fellow of Hertford College and Professor of Shakespeare Studies. She was one of the first academic colleagues to champion the use and creation of OER at University of Oxford through her involvement in the Jisc funded Open Spires and Great Writers Inspire projects. Her OER licensed lectures reach an international audience and she continues to produce, publish and share cultural resources online. After some early Jisc funding in 2009 Oxford’s podcasts collection quickly became one of the largest growing collections of openly licenced university lectures online. Oxford podcasts have published nearly 10,000 thousand audio and video items. 50% of this content is CC licenced. It includes 6,000 individual speakers and presenters. More than 23 million episodes have been downloaded. 10 million episodes have been streamed. Emma was one of the first of the Oxford podcasters and the first major contributor to record podcasts herself. She has published 48 episodes which are part of 7 different series. Her biggest successes are ‘Approaching Shakespeare’ and ‘Not Shakespeare’. Approaching Shakespeare has had more that 500,000 thousand downloads and regularly features in the itunesU global top ten. Emma’s podcasts are only a small part of her work, but whenever I hear discussions about open academic practice I think of colleagues like Emma at Oxford who share so generously, but always with a wise, and enquiring eye to what might happen as a result. My choice of platform for Thing13 of our 23things is Media Hopper. hopper ( agric) : a container for a loose bulk material. hopper ( minecraft ): a block that can be used to catch item entities, or to transfer items into and out of other containers. channel-hopper( tv) : quickly changing from one channel to another to find something you want to watch. Grace Hopper ( rolemodel) : an inspirational computer scientist. She developed the implementation of standards for testing computer systems and components and coined the term “debugging” for fixing computer glitches when she removed a moth from her computer. Dennis Hopper (role model): just cool. space hopper ( toy ): just orange and bouncy. As I was explaining to Vicki, our Digital Recruitment and Marketing intern just the other day, Media Hopper gathers together all the mixed up multitude of video material from all over the University; brings it into one place; channels it into our VLEs, websites, portals and courses; applies standards and metadata is very cool. 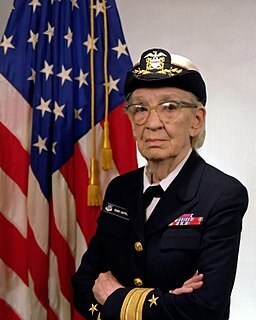 I think it’s important to name things after inspirational women when you can, and Grace Hopper fits the bill for me. Vicki will now be using videos in Media Hopper to liven up our LinkedIn presence. Thing 12 of our 23 things is OER. I talk a lot about OER. Last week I was talking about it in Barcelona, this week I’m talking about it in Paris, in two weeks I’ll be in Berlin. I also write a bit about OER. On this blog and occasionally for case studies and articles. My work in creating a culture of openness is featured as a case study by OEPS. At the moment my homework is to write a case study for Gill and Fred to include in their new book. I am also pleased to be able to make the case for new posts based on our institutional commitment to open. We have had support to extend contracts for our OER Adviser and our Wikimedian in Residence. We have also just signed a memorandum of understanding with the National Library at a time when they are working to open up huge swathes of their collections. (1)Open Educational Resources infoKit JISC[online] Available at: https://openeducationalresources.pbworks.com/w/page/24838043/Approaches%20and%20models [Accessed 11 Nov. 2016]. (2)Compelling Reasons to Adopt Open Educational Resources [online] Available at: https://openeducationalresources.pbworks.com/w/page/45742558/Compelling%20Reasons%20to%20Adopt%20Open%20Educational%20Resources# [Accessed 11 Nov. 2016]. Paying lip service to innovation. Picture taken by me at the Gartner Expo. No rights reserved by me. In a post-truth world what can we say? I sit in rooms where we discuss what learners should have, based on our best thinking about what kind of learning is good for them. They don’t want it. They want Brexit and Trump and passive learning with no hard exams. 10 million MOOC fans can’t be wrong.